Jessie's been training hard, and is ready to go out there and claim some new Pokémon for Team Rocket fair and square! Or at least, by beating some Pokémon trainers in battles fair and square, and then proceeding to steal their Pokémon. Jessie has N (1 ≤ N ≤ 300,000) Pokémon at her disposal, with the i-th one having two traits of interest — a Strength of Ai and a Speed of Bi (1 ≤ Ai, Bi ≤ 109). She'll be battling against M (1 ≤ M ≤ 300,000) trainers, one after another, each with a single Pokémon. 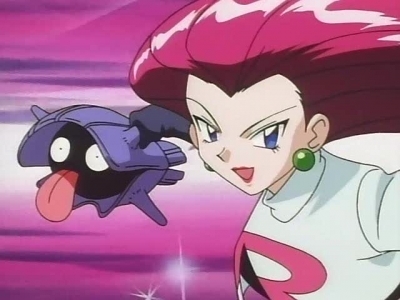 In each battle, Jessie will choose one of her N Pokémon to use in it. There are no restrictions regarding her choices — for example, she may choose to use any of her Pokémon either in multiple battles, or not at all. Each trainer's Pokémon is vulnerable against the Strength and Speed traits to various degrees, based on the values Xi and Yi (1 ≤ Xi, Yi ≤ 109). Battle Effectiveness is a measure of how effective Jessie's chosen Pokémon is against a trainer's Pokémon. If Jessie chooses to use her j-th Pokémon in the i-th battle, the resulting Battle Effectiveness will be Xi×Aj + Yi×Bj. For each of the M battles, help Jessie determine the maximum possible Battle Effectiveness that she can achieve by choosing an optimal Pokémon to use. Please note that the answer may not fit within a 32-bit signed integer. In test cases worth 6/26 of the points, N ≤ 2000 and M ≤ 2000. N lines follow, the i-th of which consists of two space-separated integers, Ai and Bi, for i = 1..N.
M lines follow, the i-th of which consists of two space-separated integers, Xi and Yi, for i = 1..M.
In the first battle, Jessie should use her second Pokémon for a Battle Effectiveness of 10×8 + 1×2 = 82. In the second battle, she should instead use her first Pokémon for a Battle Effectiveness of 1×1 + 10×10 = 101.